To install your theme, first you should have have WordPress installed on your hosting provider. Next you will want to login to WordPress and then we can get started. If this is your first WordPress site, follow the next steps below. If you have an existing WordPress site, download and install the Flo Launch plugin and read more about switching WordPress themes before proceeding. 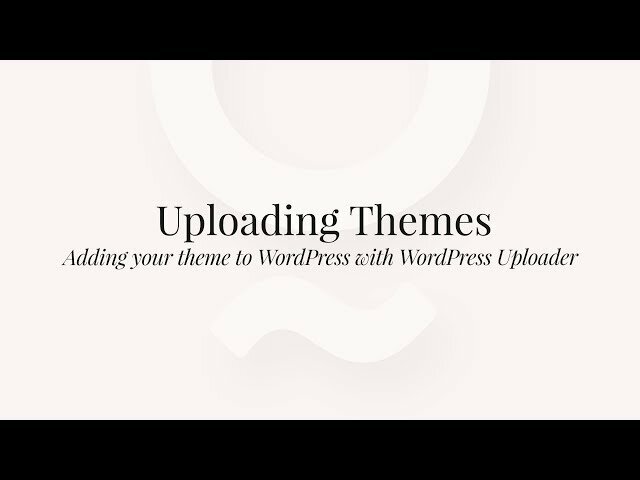 Using the WordPress installer is the easiest method for installing your new theme. Need help with troubleshooting your installation? Here are some answers to frequently asked questions. Next check out Recommended Plugins below. Once the theme is installed and activated, you’ll be presented with recommended plugins. It is recommended to install the Flo Updater plugin, if Visual composer is present it will also required be required. Hover over the plugin name, and click install, repeat for any plugins that you want to include. Once you’ve completed this, you’re ready to start designing your site. This occurs when your WordPress has a max media file size upload/or your host has set a max file upload size. If this error occurs you should upload your theme using FTP, check the FTP upload section above. If you get an error after installation, and it has something related to PHP in the text, it’s most likely a PHP error. If thats the case, first check your hosting panel, and find out if your PHP version is at least version 5.6. If not upgrade to PHP 5.6. If there is still an issue, contact our support team for assistance.